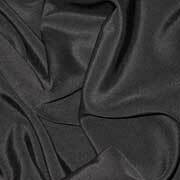 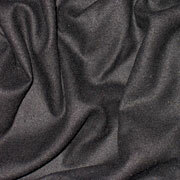 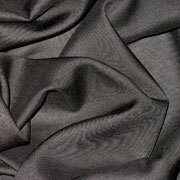 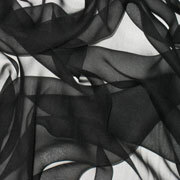 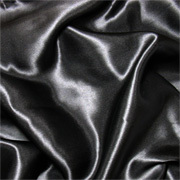 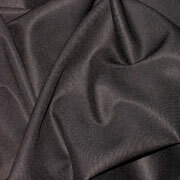 We decided to carry an assortment of black fabrics for our customers who have asked for it over the years. 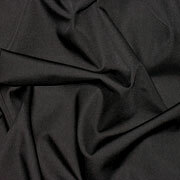 Perhaps because black is the hardest color to get when dyeing. 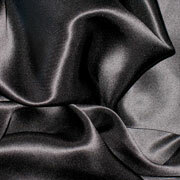 For those who print and/or paint with our opaque and metallic fabric paints, or like to do foil work, this has given them an instant fabric on which their art can "pop"! 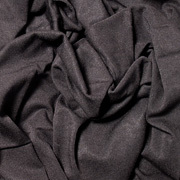 Because some of the black fabrics discharge to pale shades of rust brown, grey or even white, they add a new dimension to the creative layering of color on fabric. 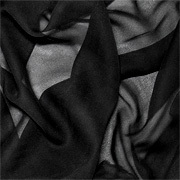 Unfortunately we can not guarantee the ability to or degree of discharge one will get, nor which chemicals will work the best in each case as the dyes used varies. 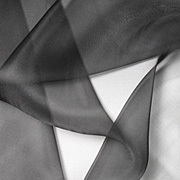 For discharging, test, test, test! 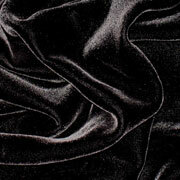 These dyed fabrics can also bleed! 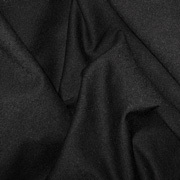 Testing for colorfastness is also recommended, especially when the fabrics will be used for quilting or wet felting projects. 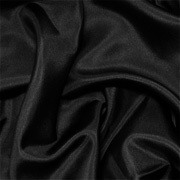 Black 12mm Charmeuse/Silk Crepe Satin 45"
Black Crepe de Chine 16mm 45"
Black Silk Chiffon 8mm 45"
Black Modal Rayon Jersey 60"
Black Raw Silk 35mm 45"